I've always wanted a real film camera or two. Information about older cameras is hard to find but after digging a bit, it looks like a couple good ones in my budget are the Arriflex 35 BL3 and the Arriflex 35 III. Wikipedia doesn't mention anything except by saying that the II series was superseded by the 35-3C. I'm guessing that the 35-3C is the same thing as the 35 III (correct me if I'm wrong), and I don't know what the 'BL3' means on the other. Isn't one of those handheld? Also, why the name 'Arriflex'? What sets them apart from other Arri cameras with just the Arri name? ARRI 3 I haven't used but the biggest difference would be that the film movement is more stable, pin registered, the image from frame to frame is super stable. So there's a difference between the III and IIIC? Is the main difference between a III and a BL model just the blimp for sound stuff? "ARRI" is the company name. "Arriflex" is the name of the camera(s,) referring to the fact that the system is a "reflexive" one. When the "mirror-shutter" is open, the film is being exposed. When the mirror-shutter is closed, the image is being reflected through a series of mirrors all the way up to the viewfinder so that you see exactly what you are getting. I would go for a Super-16 system, simply because the costs of 35mm are significantly higher than 16mm. They have been popping up on ebay a lot, lately. New models appeared over the years: the 35 II in 1946, the IIA in 1953, the IIB in 1960 and finally, the IIC in 1964. In 1982, the II-series was superseded by the Arriflex 35-3C model, having a IIC film transport movement, a swiveling viewfinder, a quartz-driven handgrip motor, a then-new Arri PL (positive locking) lens mount and a variable shutter. The 35-3C model was put into production to use up 150 sets of 35 IIC camera movement units still inventoried at the factory. They are all reflex cameras, but the Arri-2B, 2C, 3C are MOS cameras, whereas the BL's are "self-blimped", quiet enough for sound shooting. Also, the Arri-3C is rather boxy and very hard to handhold. The BL's are better-shaped and balanced for shoulder-mounted handheld work, though heavy. The 2B, 2C, etc. sometimes had a pistol-grip type base for hand-holding in front of your eye but the 3C was too big for that. I actually just bought the Arriflex 35 book so I'll learn a lot more soon. I'm still a little confused on the III and 3C though. It seems like they're different cameras but that wiki page lists the model as 3C and the line Arriflex III as if it's the same thing. I think they are the same thing, in fact, I've only heard it referred to as an ARRI-III. When you break it down, there are 4 models. All the other model numbers and names were just updates to those basic cameras. The Arri-235 and 435 are pretty different cameras, I wouldn't lump them together. And the Arri-535 was meant to replace the BL line. And the Arri-2 and Arri-3 are pretty different too. So what you'd call 4 models, I'd probably say are more like 7 models. Is there really any discernible difference (in quality) between a standard 35 and a BL? Seems kinda like the same camera basically, just with or without sound sync. Totally different camera, different kind of movement, different viewfinder system. The Arri 35-III is a great little camera, but it's made for an entirely different market then the BL, which is designed for critical sync sound production. The IIIC was an improved and updated IIa/b/c platform produced in very small quantities originating with a need for an updated lightweight camera for use on "Das Boot"
The 35-3 is an entirely new design. There were different "Mark" eras that had things like switchable lens mount and the like. Picture quality would be the same if the same lens is used, though an ARRI-2 doesn't have pin registration. But it seems odd to say that an MOS camera and a quiet sync-sound camera are "basically the same" -- being able to shoot dialogue scenes is a pretty high priority with a number of filmmakers. And if you plan on handholding the camera, you're going to prefer a BL over a III. The Arri 2C is a little MOS pistol grip camera, about as small as a 35mm camera can be. It is very loud and has its own proprietary power plug. It has a three lens turret with Arri S mounts. You would have to use old school S mount lenses on it, or get the camera converted to PL mount to use with modern lenses. The Arri 3C is a rare souped up 2C only made in 1982. It has a factory PL mount, variable shutter, standard 4pin XLR power port, and an orientable viewfinder. Can be modded to Super 35 and 3 perf, though that would be very expensive. The 3C pistol grip is crystal sync and very desirable. These are very rare cameras. There are various accessories made for the 2C and 3C that can be shared between the models, including the Cinematography Electronics 2C Crystal Motor Base, and the pistol grip tripod adapter. Both cameras use the same type of classic Arri displacement magazines. The Arri 3 is the next version of the 2C/3C and is much bigger and heavier. It runs up to 120fps, is pin-registered, and has a much brighter viewfinder. Still loud, so it is also MOS. It's a more advanced camera than the 2C but not really a run-and-gun type of camera. Same magazines as the 2C/3C, which can also be used on the later Arri 435 and 235 with some limitations. The Arri BL is a self-blimped sync sound camera of the same generation as the Arri 3. It is a beast of a camera, stupid heavy. It was their first 35mm camera with coaxial mags, 400' and 1000'. The Arri 535A and B succeeded it and look roughly the same. It's pretty simple. The motors are secured with screws, so you just remove those. The pistol grip had its own small gear that you need to remove to attach the CE crystal base. Hopefully your pistol grip comes with one. Then you just line up the gears and replace the screws. The floor techs at the rental house who have only been trained on digital cameras figured it out in two minutes while I was busy working on the Moviecam. Thanks Satsuki. Yes I have the gear and the screws. As a cinematographer I love film , I own a Arri IIB Techniscope camera myself. Do keep in mind you are in the DIGITAL AGE. Not to discourage you...but you will be competing with cinematographers today with the latest digital cameras like the ALEXA, RED ONE, Canon .. ect. None of these cinematographers have to even worry about MOS let alone loading film. I would not bother with even Super 16mm ... it's obsolete today in the world of 4K digital. 15 years ago I would have said yeah Super 16mm but even that format days are numbered. So what to do if you want a true film camera? I would recommend 35mm 3 perf or 2 perf and go DI (digital intermediate). You can use cheap readily available spherical lenses. You will save a ton of money on film stock, film processing and ironically studios will love you even more for just that. Avoid 4 perf 35mm camera unless a studio is paying for everything. Avoid anamorphic as that will be a 4 perf camera and anamorphic lenses are expensive. I f you cant do 2/3 perf then just forget film and save yourself the headache and get a 4K digital movie camera. Film is beautiful. Those that put the time and energy into making a feature shot in 35mm will be rewarded many times over compared to some one trying to shoot a feature on a DSLR camera or iphone. This is a real name forum, in which you are required to use your full real name. Please contact Tim Tyler to arrange for your name to be adjusted. 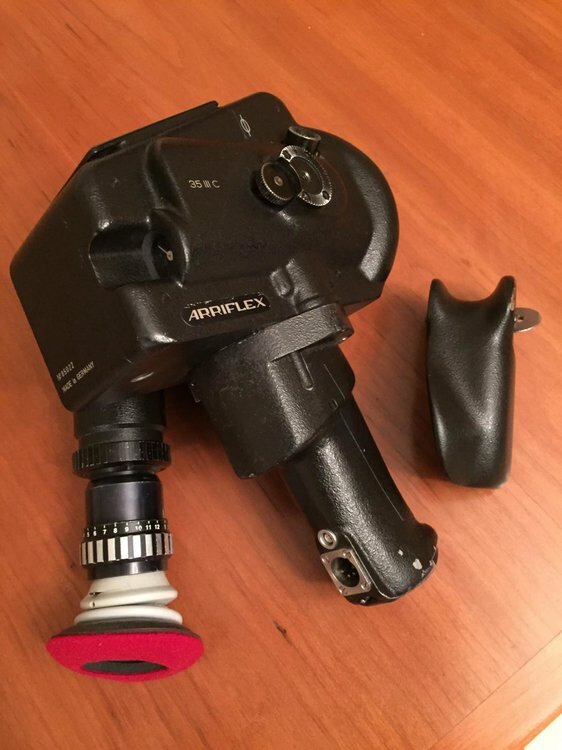 What prime lenses are/were commonly used for the Arriflex 35 IIC three lens turret (for instance, as seen in photos of Kubrick in early 70's with his IIC)? 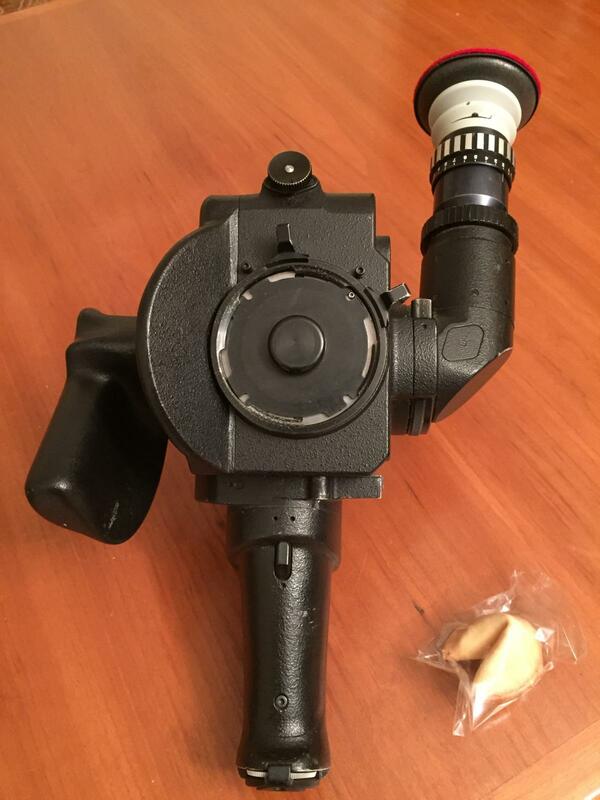 Anyone know what it costs to have this camera converted to hard front with bayonet mount? PL mount would be more usual no doubt but Nikon mount could provide more affordable alternatives. Visual Products will PL mount the ARRI 35 IIC for $1600 USD. Nikon mount I am not sure. PL mount is the best choice. I've seen Kubrick's actual IIC on display at the Museum of the Moving Image. They were Cookes in the turret. Though I do not remember the focal lengths. Jon, re the mount conversion you could also try Bruce at Aranda, somewhere there on your coast. They have a website.